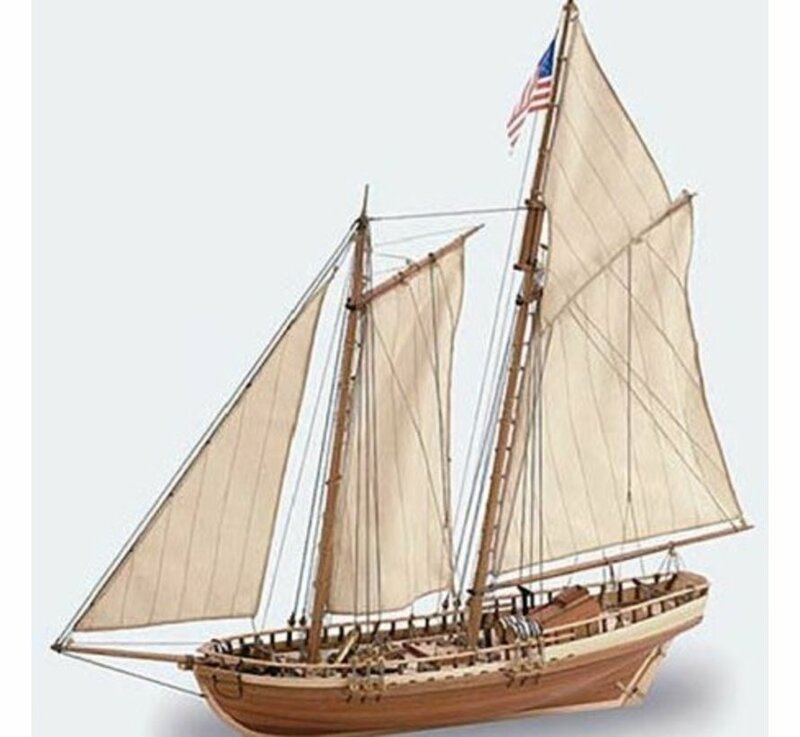 Discover Virginia, a wooden model of this American schooner. 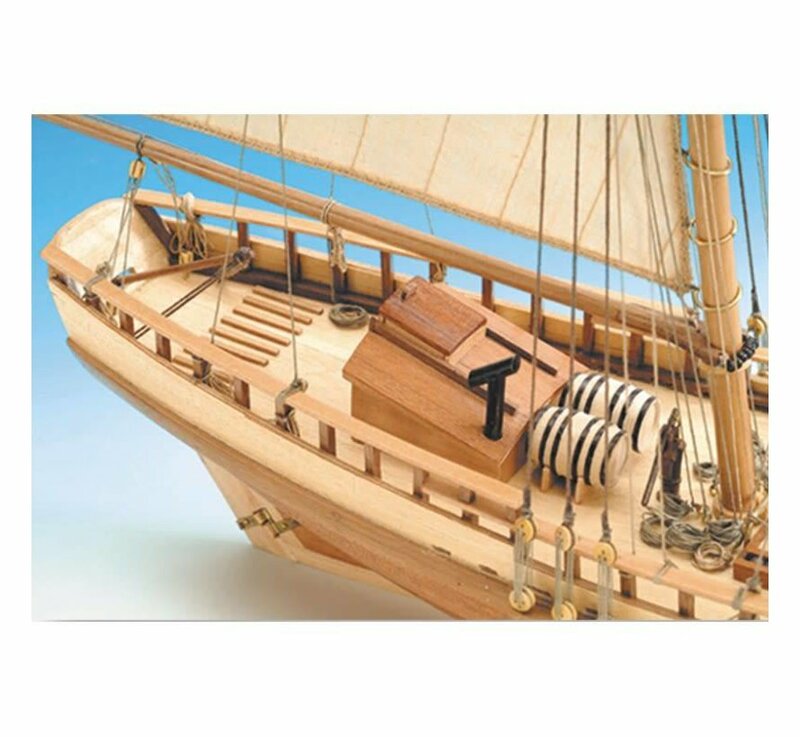 Built and launched in 1819, it carried out tasks of pursuit and interception as coastguard due to its speed. 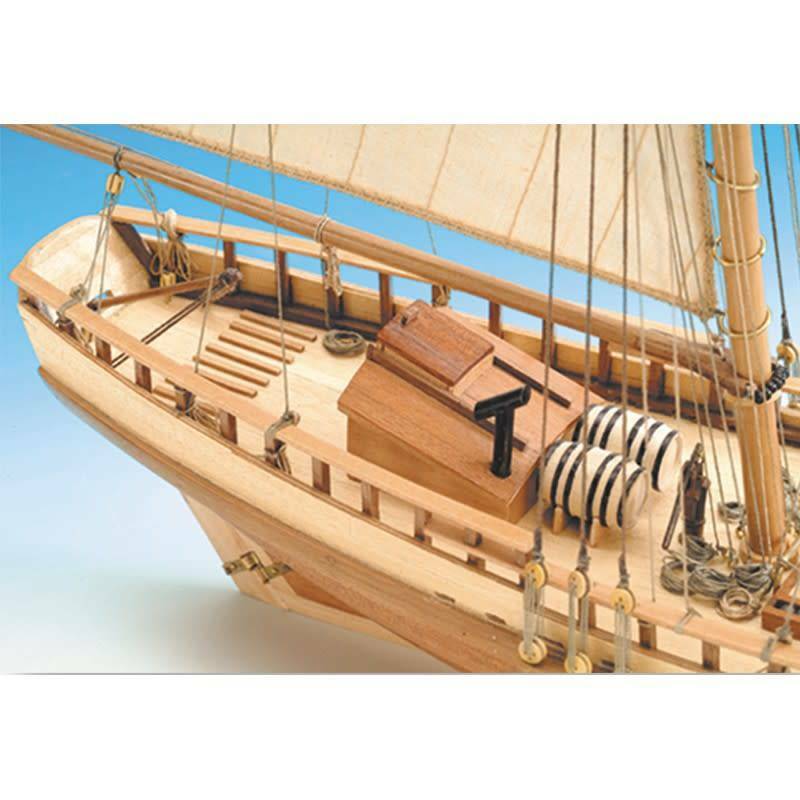 In the early XIX Century, the United States began to build small boats rigged as 'schooners' obtaining highly maneuverable and elegant crafts. 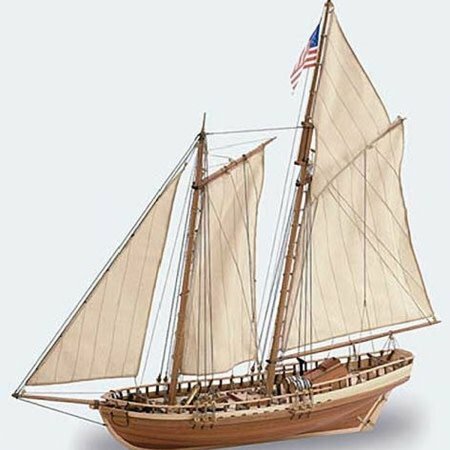 In what would be the seed of the subsequent US Coast Guard, they had the mission to enforce the new law on import and customs. 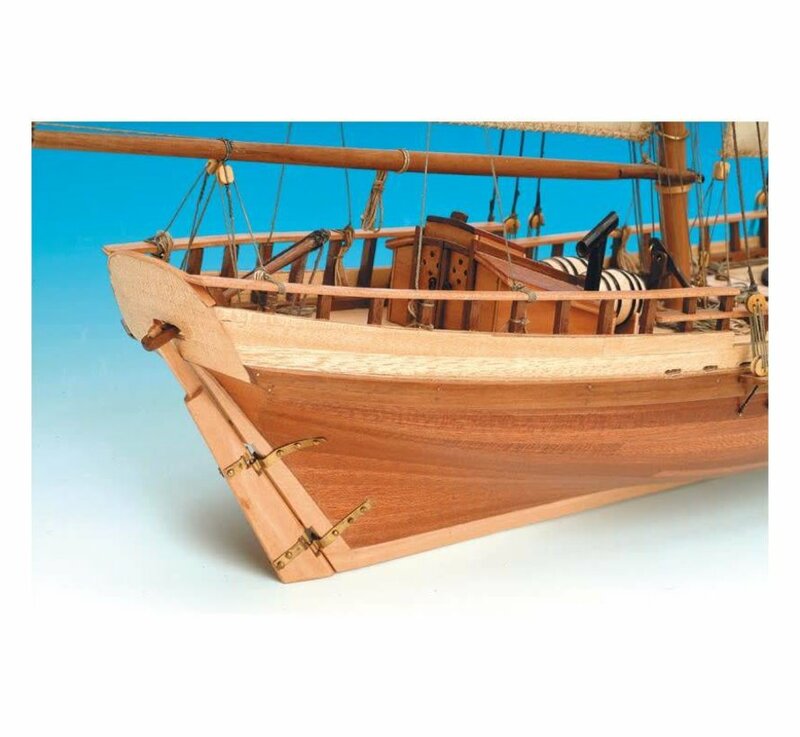 Guided by our detailed step-by-step instructions you can complete your model of this legendary ship. Build your 1:41 scale model of theVirginia, an American Schooner of the early XIX Century. 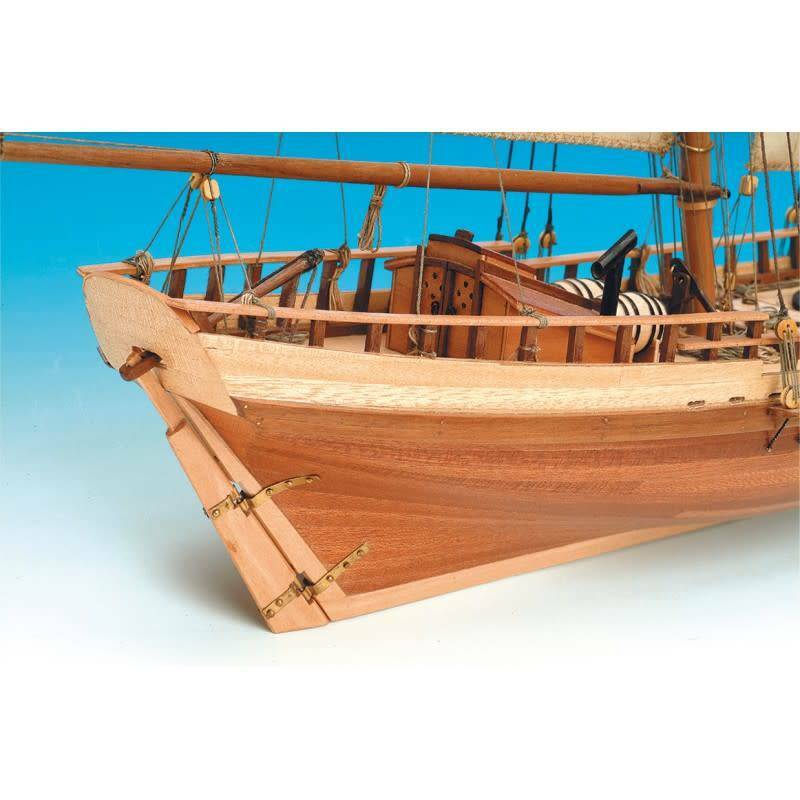 Its construction system using false keel and frames brings the assembly of your model closer to the construction of the actual ship. 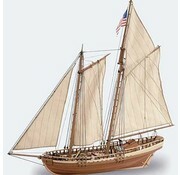 The model includes laser cut board pieces, hardwood, brass, sails are sewn, cotton threads, die-cast and fabric. For the assembly you can follow our complete full-color step by step guide in 7 languages, accompanied by real-scale drawings of the ship. Take a look at the video that we have created so that you can appreciate in detail what are the different elements and pieces that this kit contains.